Visitation will be held on Sunday February 3, 2019 from 2:00 to 7:00 p.m. at Dunn Funeral Home, located in the Historical District of Bowling Green at 408 West Wooster St. Her funeral service will be held on Monday February 4, 2019 at 11:00 a.m. at St. Paul's Lutheran Church, 14545 New Rochester Rd. Pemberville, Ohio 43450. Rev. Bruce Bair will officiate. Interment will follow at Fish Cemetery. 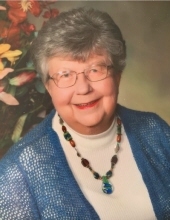 Additional visitation will be held on Monday morning at the church from 10:00 a.m. until the time of the service at 11:00 a.m.
To send flowers or a remembrance gift to the family of Judith A. Snyder, please visit our Tribute Store. "Email Address" would like to share the life celebration of Judith A. Snyder. Click on the "link" to go to share a favorite memory or leave a condolence message for the family.